PanARMENIAN.Net - If there is a single health issue that has been linked to medical marijuana over the past few decades, it’s the dreaded eye disease known as glaucoma. As early as the 1970s, studies have shown the cannabis plant is beneficial in easing the symptoms of this debilitating condition, perhaps to the level of preventing some people from going blind. 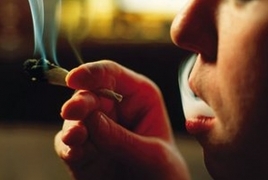 Glaucoma patients have claimed for years that smoking a little grass works to alleviate intraocular pressure (IOP), which in turn prevents the condition from worsening and keeps many from needing prescription eye drops or nasty surgical procedures. It is conceivable that thousands of people today still have their sight as a result of medical marijuana, Forbes says.